Each week, we ask five of our sportswriters five questions about Ohio athletics. Their answers may surprise you. This week, we talked to managing editor Danny Medlock, football writer Zak Kolesar, soccer writer Corbin Bagford, and field hockey writers DuShaun Headd and Jack Zink. After Ohio’s gutsy win over Marshall and poor non-conference play from other MAC teams foes, are the Bobcats now the favorites to win the MAC East? 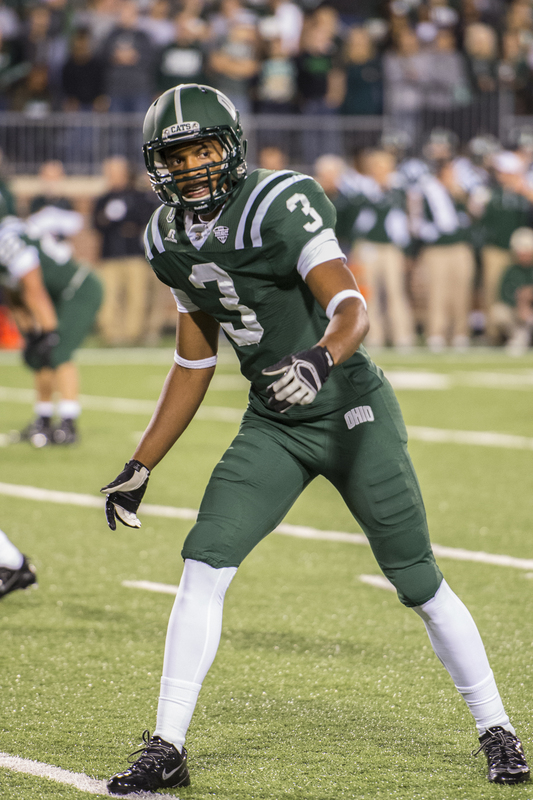 Danny Medlock: Personally I scoffed when I heard the coaches voted the ‘Cats the top team in the MAC East. I thought it was a respect pick to the former “Boise St. of the Midwest” I’m still standing by my preseason pick, Bowling Green. The nation’s leader in STD’s (no, that’s not a football stat thats exactly what you think it is) has already beat Kent St. and the schedule gods have blessed them with a home game against the Bobcats. Zak Kolesar: After Bowling Green fell big to Indiana 42-10 and Kent State dropped to 1-2, Ohio’s main concern is being able to retain a relatively healthy roster at the end of the season when they face the Falcons and Golden Flashes. However, I can’t say the ‘Cats are the favorite until they figure out blocking in the running game. Corbin Bagford: I’d say the Bobcats are the definite favorites in the east at this point, despite an embarrassing performance against Louisville. Bowling Green is the only other team in the East that’s off to a decent start, and they got obliterated by a sub-par Indiana team. Akron is worth looking out for after their near Appalachian-State-esque upset of Michigan. DuShaun Headd: After the win against Marshall, Ohio can be declared as the “1 B” option to win the MAC East, giving a slight edge to Bowling Green as the favorites. Bowling Green is the only team to have a win in the conference so far, and with a pivotal home game against Ohio late November, they can be considered as the team in the drivers seat. Jack Zink: I wouldn’t say that Ohio is the favorite quite yet, especially with some question marks on the defensive side of the ball, but I think they are definitely in the conversation. Their offense is as good as anybody else’s in the conference and can outscore every other team in the MAC, I just don’t think their defense can make enough stops to beat teams like Bowling Green and Kent State. What’s the most important thing we learned about the volleyball team last weekend? Medlock: Probably that we have a volleyball team. No, seriously, as soon as you start throwing national rankings with any team around here, the bandwagon fans are sure to follow. Kolesar: That they’re for real. Beating No. 8 Oregon was no fluke after the team lost to No. 24 North Carolina the following weekend, because sweeping the WKU Invitational was a big rebound heading into a big Saturday matchup against No. 10 Michigan. Bagford: Last weekend confirmed what we learned in Oregon: this team is not intimidated by home field advantage. They went in to WKU’s house and upset the No. 21 Hilltoppers. We also discovered the discipline of this team in a win over Virginia, a getaway game that Ohio could have easily looked past. Headd: As a fan, we have learned that the Ohio University women’s volleyball team is now the 24th ranked team in the nation. As a sports journalist, an important thing we have learned is to make sure we include kills, aces, and digs in our recaps to let our readers know who the top performers are. Zink: Earning a national ranking is a huge honor, especially at a school like Ohio. The biggest thing to take away from the volleyball team is that they are ready to take the next step and be a force to be reckon with, not just in the MAC, but in the entire country. 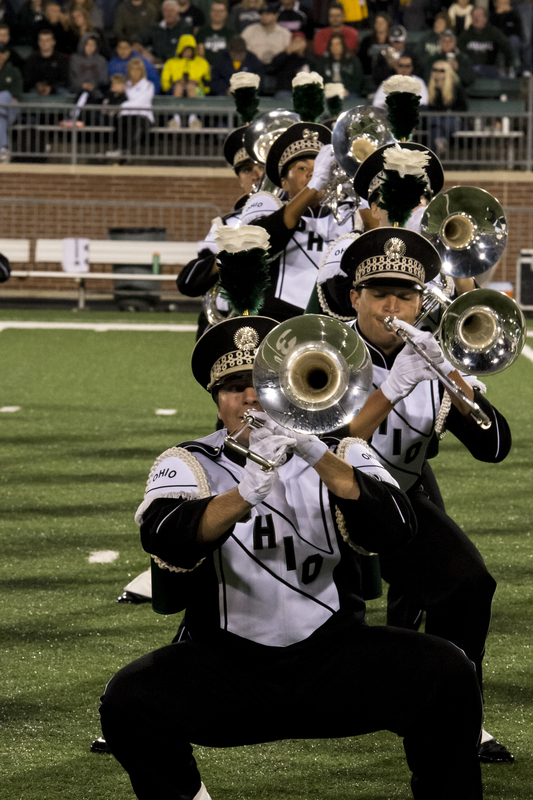 The Marching 110’s version of “The Fox” went viral this week. What does the the fox ACTUALLY say? Medlock: Honestly I don’t know. I blame this guy, for not asking this girl. The girl can do a kookaburra, clearly she can do the Fox. Yep this video has 365 views, I struck again. Kolesar: I don’t know what the fox actually says, but I do know what I say: I want four minutes of my life back. Bagford: If I recall correctly, all Swiper the Fox said on “Dora the Explora” was, “Awww man!” … So there’s that. The soccer team has run off 4 straight wins. What do they need to do to continue their success? Medlock: In Aaron Rodgers we trust, why would I tell the best photobomber in the world how to do his job? Oh, Green Bay Packers QB Aaron Rodgers is not the same Aaron Rodgers who coaches the women’s soccer team. I think it starts with Maggie Murnane. She has seven points in seven games for the Bobcats, and in my experience covering sports if there is one thing I’ve learned its that scoring more goals than the other team results in wins. Kolesar: Defense is going to be key if the soccer team wants to continue on their winning streak, and it was all defense against Youngstown State when goalkeeper Mattie Liston recorded the team’s first shutout of the season. The team hasn’t totally found their offensive feet yet, so until then the defense needs to keep up their stellar work. Bagford: They need to keep up their second half success. They’ve outscored opponents 10-4 in the second half of games this season. The Bobcats need to continue to capitalize on their opportunities. Headd: Ohio’s offense has been electric and the main reason why they have won four straight. To keep the good times rolling, they’ll need to be on the same page and keep up the pace. Zink: Since they have a fair amount of younger players, I think the biggest thing they need to do to continue their success is to get their younger players ready for conference players. Non-conference games are nice to win, but conference play is where you earn your pay. Through two weeks, how’s your fantasy team doing? Time to panic? Medlock: 5-1 across my 3 leagues, my only loss coming in my Super League. What’s a Super League you ask? It was a 62 round draft encompassing basketball, football and baseball. My strategy was too stock my baseball and basketball teams because the players are more reliable in regards to projection and staying healthy. Not to say I’m discarding football, I’m still going to win it all – don’t worry. Kolesar: This is the first season I will not be doing fantasy football and the first season I will be doing fantasy hockey. In order to immerse myself into the NHL, I decided this would be a fun sports experiment to conduct, so wish me luck. Bagford: At this point, I’m dubbing Montee Ball as a bust and waste of my 6th pick. Hopefully Josh Gordon will fill my team’s hole at the “flex” position with his return this week. Headd: Through two weeks of the NFL season, injuries are starting to take their toll on both of my fantasy teams. Steven Jackson and Ray Rice were both first round picks in most leagues and both look like they will be out in week three. It doesn’t help that my quarterback Matt Ryan is with a limited Roddy White for the time being, nor does Alfred Morris’ lack of help from RG3 to start the season. Zink: Luckily for me, my panic button is stored safely in attic, with two of my three teams (which both happen to be leagues with money prizes) being 2-0, and the other (no money prize) is 0-2. Although I am satisfied with this, I know in two weeks I will probably be searching for that panic button. September 20, 2013 in Blogs, Sports, Uncategorized.